Gene H. Levick, CPA, is the principle of Gene H. Levick & Company, a local CPA firm. 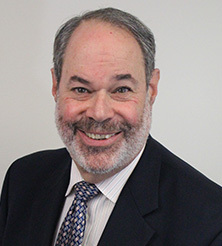 He has been a practicing CPA for 35 years and has been in public accounting since 1976, when he graduated from Drexel University with a Bachelor of Science in accounting. He became a CPA in 1982 and is a member of the American and Pennsylvania Institute of Certified Public Accountants. In addition to the preparation of hundreds of individual income tax returns, the firm provides accounting, tax and consulting services to many business clients in a variety of industries. These include mortgage banking, construction, real estate developers, real estate management, medical practices, professional practices, trucking, warehousing, printing and retail.